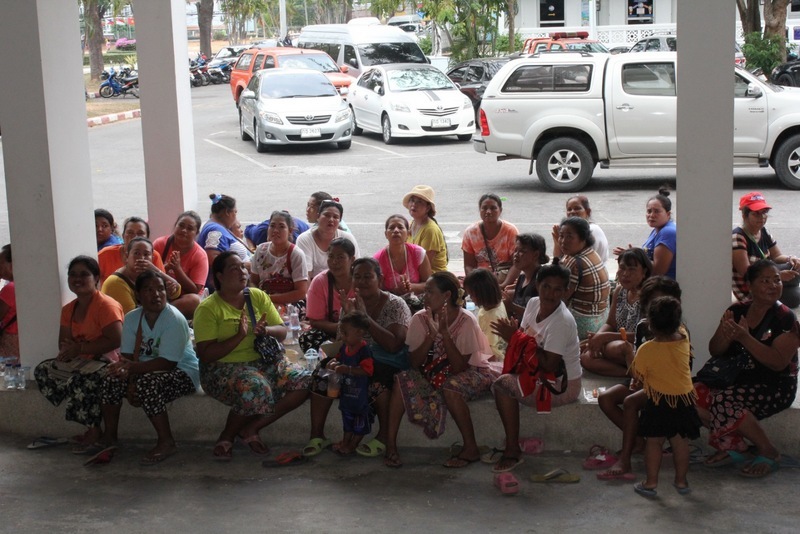 PHUKET: More than 100 sea gypsies gathered outside Phuket Provincial Hall yesterday (Apr 26) as their fellow indigenous villagers attended talks with Army officers and Governor Chamroen Tipayapongtada about their impending eviction from parts of the sea gypsy village in Rawai. The first order of business was to allay fears that sea gypsies had been called in for “attitude adjustment”. Present for the talks was Tianjai Deetas, from the National Human Right Commission (NHRC). Maj Gen Teenachat Jindangern, commander of Royal Thai Army’s 41st Military Circle, said a letter issued earlier this month was “only a request” for the people named in the letter to present themselves to the ISOC Region 4 Army base in Nakhon Sri Thammarat province. “The letters were only written requests to gain information in order to end the dispute with Baron World Trade Co Ltd, which is moving ahead with its claim to land alongside the sea gypsy village,” Gen Teenachat told The Phuket News. The letter also pointed out that participation in the protest was in defiance of the National Council for Peace and Order (NCPO) ban on political congregations. “So we made it clear today that the letter was not a demand for them to report to us,” Gen Teenachat said. “We only need some information regarding the issue so we can help to resolve it. “We talked to villagers and explained to them our intention. We only want to talk to them so we understand each other. We want to hear from the point of view from the sea gypsy villagers. We want to know what they really want, what kind of life they expect to have. “We have heard enough from others and officials reports of what is best for them. Today, we want to hear from the villagers themselves. Today, we gained enough information about their livelihood and what they want, but to end the dispute we still have to discuss this with Baron Trade Co also,” he added. “Our goal is to keep the peace and maintain order. We do not want to see any conflict between villagers and the developer (Baron World Trade). Villagers have the right to know their situation regarding their rights in the dispute over land in their village. We will have a meeting with representative from Baron World Trade again within this month.” Gen Teenachat said. Sea gypsy Niran Yangpan said he was shocked to be named in the letter. “My actions represented all villagers who wanted to exercise their rights,” he said. 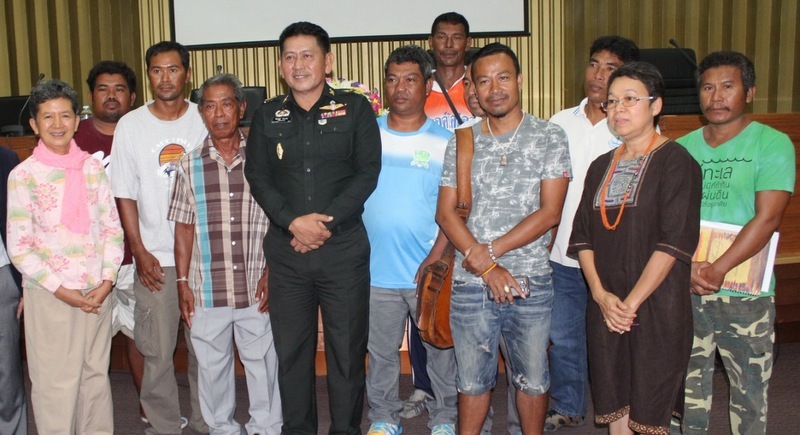 Mr Niran explained to The Phuket News that the 12 named were unable to comply with the request to present themselves to the Army base in Nakhon Sri Thammarat on April 22 as the village was holding a religious ceremony on that day. “We asked to meet on a different day, and so the Army wanted to meet us today,” he said. Regardless, Gov Chamroen pointed out that the sea gypsies were likely running out of time, and options, in defending their claims to land in their village. “This problem has been going on for years. 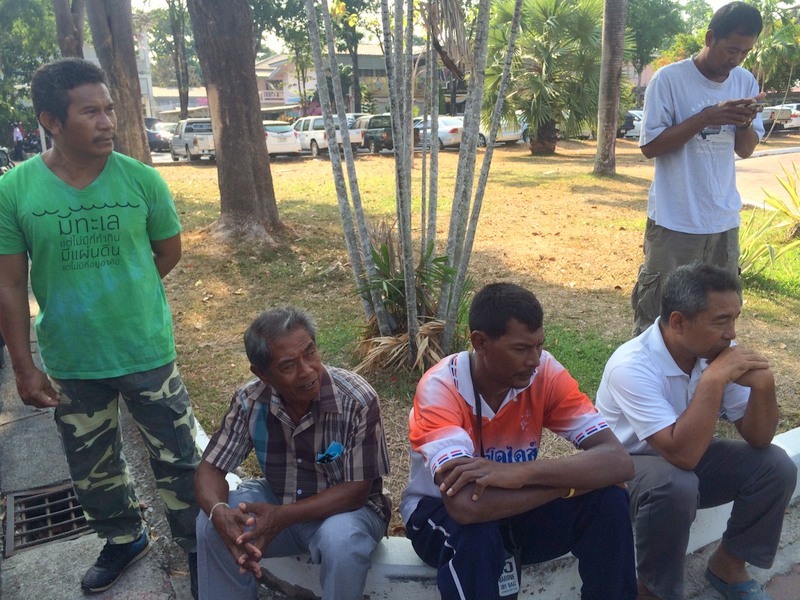 Regarding claims by private landowners to 19 rai in the village, the landowners have legal documents to prove their claims to the land and the dispute has been in heard in the courts for years, with more than 30 cases under review,” he said. “So far the court has ruled 19 cases in favour of the landowners and right now officials are waiting for a final hearing in one case from Supreme Court,” he added. Gen Teenchat agreed. “Their cases have been heard in court and we respect the court’s decision. We are not here to change that, but only to maintain the peace,” he said. Gov Chamroen also assured that maintaining peace and order was the government’s top priority. “That’s why the Army is here to hold talks today and we report all developments to the Interior Ministry and other departments involved in this issue,” he said. 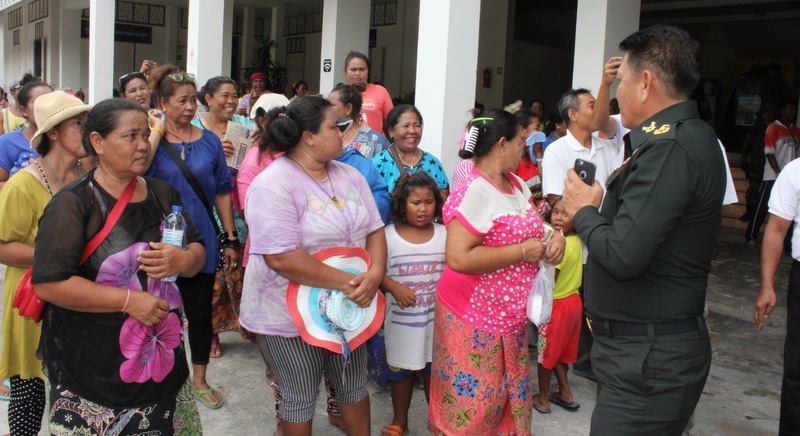 The Governor highlighted that 45 rai had been set aside in Rassada, north of Phuket Town, for sea gypsies in Rawai to move to if a court judgement rules against them. “We even proposed that the government to buy the disputed land for the villagers if they didn’t want to move. I understand it is hard for villagers to move out of the area and resettle somewhere else that does not have access to the sea, but there is little we can do. Everything must be done according to the law,” he maintained. Jome, You were likely not in a martial law state and only military personnel were expected to follow orders. Phuket is also for other indigenous people that have been there for centuries not just Foreigners and Wealthy Thais and Developers.The Island is now becoming  as a OVER DEVELOPED populated  playground for Tourists(some not savory by any means) and retirement for expats and foreigners in more ways than one. Soon there will be very little left that is Thai. What is the difference if you disobey an "request" or disobey a "demand"....?????? Money rules, nothing new. I feel pity for the sea gypsies. I especally like that : ''..but there is little we can do. Everything must be done according to the law.” Which law, hey?